Logo Design and Branding for the web start-up Closet Collabo. This client was looking for a cutting edge design that appealed to modern fashionistas. 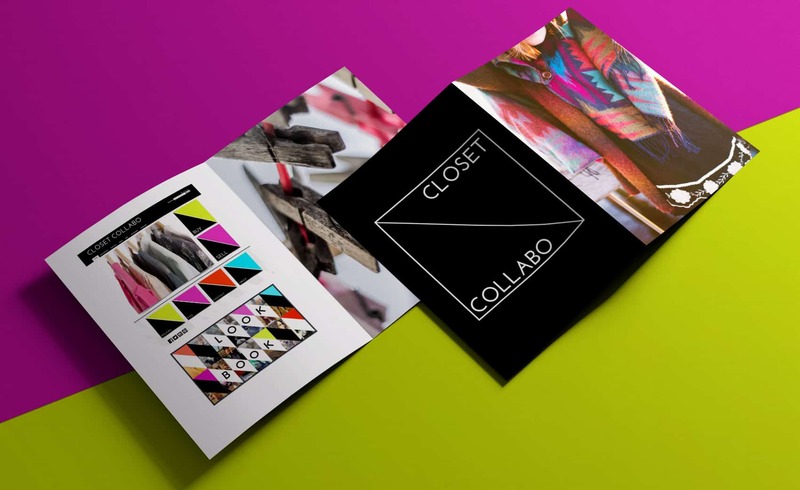 The Closet Collabo project aimed to be a hub where fashion forward women could buy and sell gently used designer clothing. The client was looking for a brand that was eye catching and trendy. We chose to use angled lines, and a contrasting black and white to give the brand a modern and edgy feel.